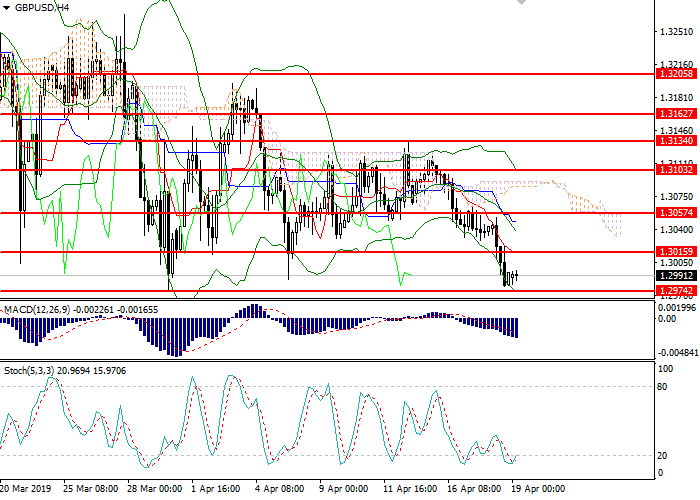 On the D1 chart, the downtrend is still in force: the instrument broke through the lower border of Bollinger Bands from above, continuing the decline. MACD histogram is in the negative zone keeping a signal for the opening of short positions. Stochastic is on the border of the neutral zone with the oversold zone, the oscillator signal line is directed downwards. 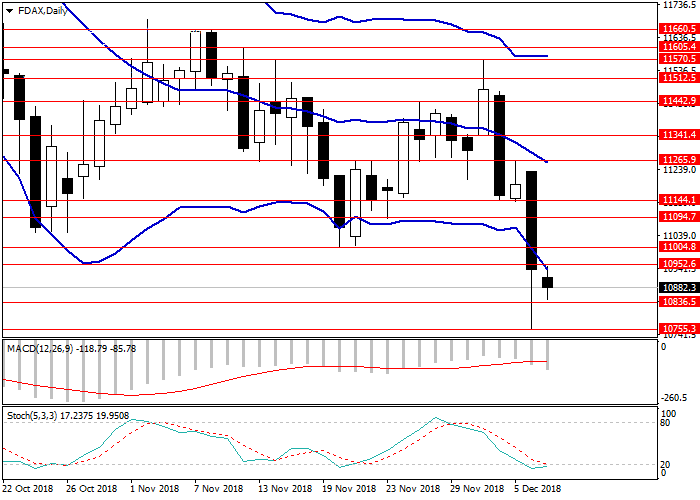 On the H4 chart, the instrument is declining along the bottom line of Bollinger Bands; the price range is widened, which indicates a possible continuation of the downtrend in the short term. MACD histogram is in the negative zone, the signal line is crossing the zero level and the body of the histogram from above, forming a signal to open short positions. Stochastic left the oversold area, and the signal line of the oscillator is directed upwards. 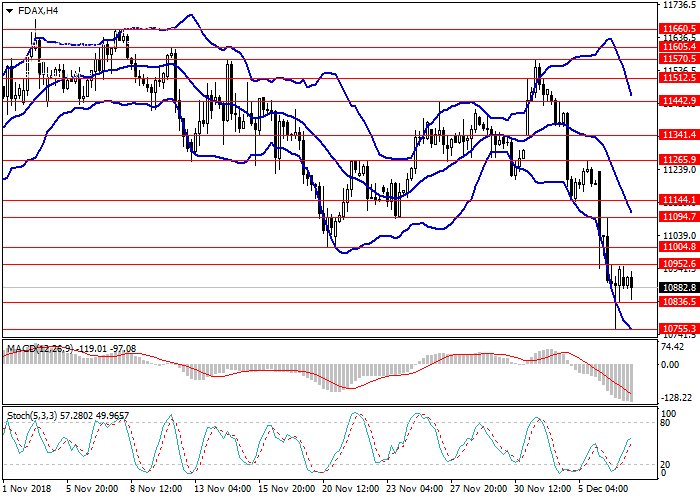 Resistance levels: 10952.6, 11004.8, 11094.7, 11144.1, 11265.9, 11341.4, 11442.9, 11512.5, 11605.4, 11660.5. Short positions could be opened from the current level with target at 10755.3 and stop loss at 10952.6 in the short term. Implementation time: 1-3 days. Long positions may be opened from 11004.8 with target at 11094.7. Stop loss — 10952.6. Implementation period: 3-5 days.